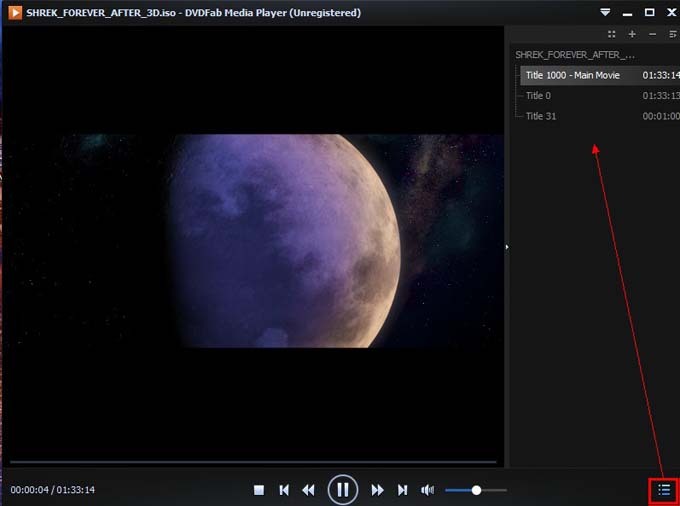 DVDFab Media Player 2 aims to be the best BD player in the world, which supports any Blu-ray Discs, including Cinavia protected ones. It delivers great audiovisual effect and fast reading speed. And it’s very easy to use with only a couple of clicks. Next let’s go to have a look at how to play BD with it to get a large picture about it. 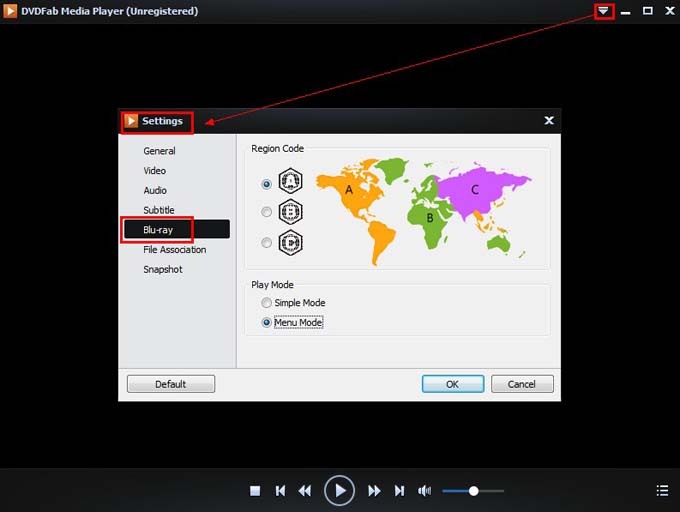 After starting DVDFab Media Player 2, go to click Main Menu icon, in the top right corner, to choose Settings then navigate to Blu-ray to choose a playback mode from Quick Mode and Menu Mode. The Quick Mode with play the main movie directly, while the Menu Mode will let you navigate via Blu-ray menu. We’re using Menu Mode here. Now insert the BD into optical drive. 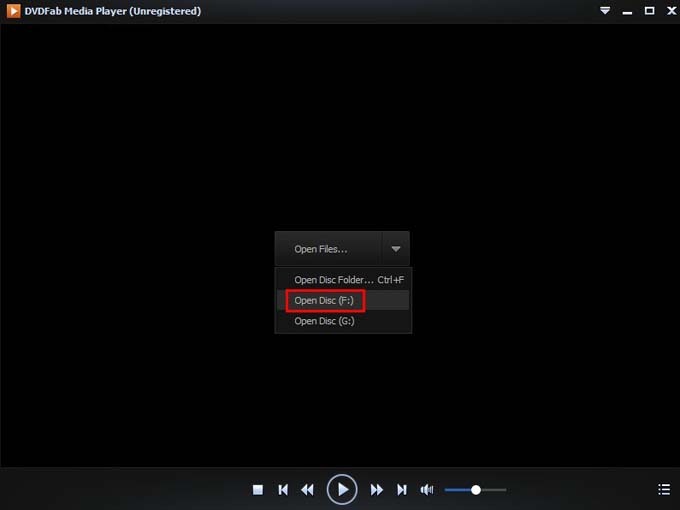 Click the drop-down button in the center of the interface to choose Open Disc. And the disc in corresponding drive will be opened quickly. If you want to switch to another movie title, you can use the playlist. If you’ve loaded in more than 1 movies, you can also switch between different movies freely.